UVI Portal lets you register, download, install, activate and update all of your UVI products in a single convenient location. Simply download UVI Portal and log in to your UVI account to get started. Easily register your new product serial numbers. 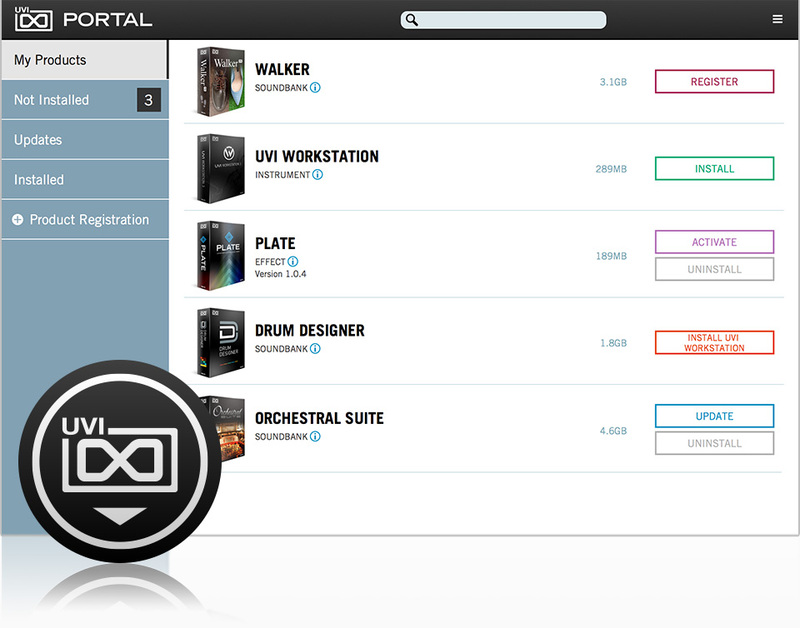 UVI Portal links directly to your iLok account and will deposit your new licenses automatically. One-click automated download and installation of all your UVI instruments, soundbanks and effects. Launch iLok License Manager directly from UVI Portal to activate your local machine or iLok dongle. Stay current with the latest updates for all of your instruments, effects and soundbanks with a single click.